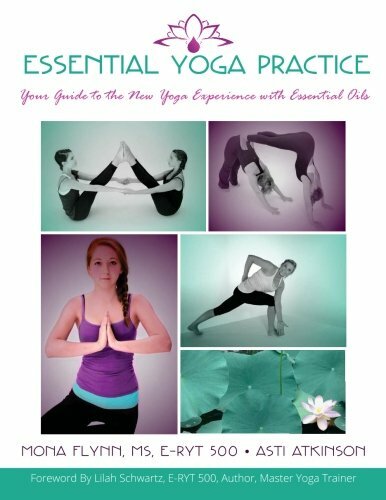 Essential Yoga Practice book and DVD available now! The foundation of our yoga journey to is self-discovery on all levels: spiritual, emotional and physical. With this in mind, we designed this book to be a great starting place if yoga is new to you, and perhaps a great place to grow if you are a seasoned student, since we are marrying two practices for which we have a great passion: yoga and essential oils. Both practices will help you along the three segments of the journey to self-understanding and self-discovery, not only complimenting each other, but perhaps creating an exponential value when practiced together. We work with many people who have never tried pairing essential oils with yoga, though they may be experienced with one or the other. It became our goal, then, to introduce a book with foundational education on both topics that beginners could use and understand, and that experienced oil-users or yogis could also benefit from. The yoga sequences are designed to be user friendly, whether you wish to use the book or the DVD to follow along. Through repeated practice of these sequences you will grow in many ways, becoming stronger in body, mind and spirit. In the book you will find the following sequences: Morning Sequence, Strengthening Sequence, Detox Sequence, Partner Sequence, Sleep Easy Sequence, and Restorative Practice. This book is not meant to prevent, treat, cure or diagnose. Please consult your licensed medical provider before starting any new fitness program. Sign up below with your email address and we'll send you our free Centering Sequence video series! Buy the Companion DVD Today!